EOS has been on a downfall since the founder declared of launching another blockchain project just a few months after the EOS project was launched. EOS had received over $4 billion in its initial coin offering and is currently ranked #6 by market capitalization with around $30 billion market cap according to CoinMarketCap. As the price started to crash, Dan Larimer soon announced that he is not leaving the EOSIO or B1 and that he still believes that EOSIO is the future of blockchain and the team is working to make it faster, more secure, more scalable and more flexible. 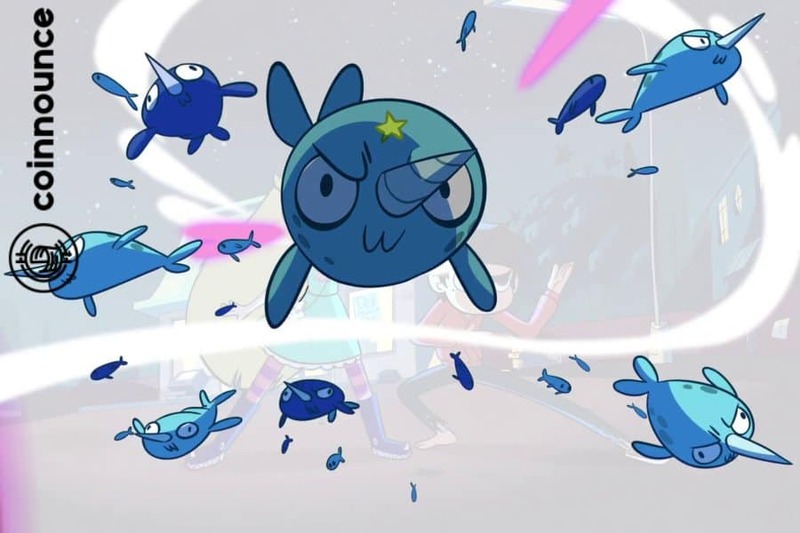 Dan Larimer also mentioned about EOSIO in a blog post recently claiming that EOSIO is a foundational platform for his future endeavors despite that fact that he is being criticized for being a part of several other blockchain projects. Despite the announcements by Dan Larimer, the price of EOS is still quite bearish with over 12% fall in just the last 24 hours. 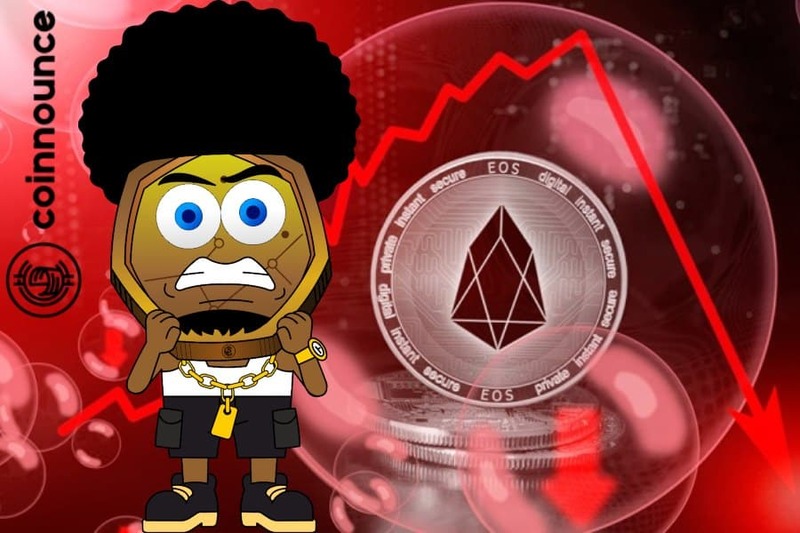 EOS is currently being traded at $2.5 (at the time of publishing) according to CoinGecko charts and analysts predict a further downfall in price in the upcoming days. EOS holders were quite happy last month as the price of EOS did not drop during the bitcoin cash hard fork while all other major altcoins crashed massively. But soon after hearing about Larimer’s plan to work on a new project, the market started a downfall even faster than the other prominent coins in the market. Despite the price crash of EOS, the EOS blockchain network has been making records by the number of transaction up to 45 million in 24 hours but no one knows about the source of these transactions. EOS has been praised for its potential of free transactions which still gives a hope to EOS project as a whole to survive in the long term despite that price fall. However, according to analysts EOS chart declares that the price can even fall to as low as $0.5 per coin in the upcoming months. Not only bitcoin but all major altcoins are facing the bear market attack with a downfall of at least 10% this week. EOS, the 6th largest cryptocurrency by market capitalization had its major downfall on 13th November this month when EOS was trading around $5.46 and crashed around $4.46 in just 24 hours. Since then, EOS has been facing a downfall. The coin is currently trading at an 11 month low of $2.94 and is still facing the selling pressure which may push the price down even further. Over an hour back, 1,604,780 EOS were transferred to binance from two different wallets amidst the current bear market probably for selling, The current market situation has caused a drastic feeling of fear amongst the cryptocurrency investors who are now turning up to sell their holding at yearly lows in order to avoid further losses. EOS was trading around $3.45 yesterday when the major support at $3.4 was broken and the price started to fall. The major fall was experienced while trading at $3.15 and crashed up to $2.87. EOS is currently trading around $2.95 with a possibility of further losses. The major support now lies around $2.92 and the resistance range around $3. A series of Hackathons were initiated by the EOS community, so as to maintain the integrity of the software through various bug bounty programs. the recent hackathon was conducted in Nairobi of Africa on 3rd and 4th of October. The series of hackathons would finally conclude in December, with the Grand Finale at Cape Town. In order to ensure the decentralization, amidst the community members and in particular the selection of miners, the parent company block.one has come forward and restricted the block producers from voting cartels. Also, various speculations do exist around the blockchain community, as they assume it to be somewhat centralized in nature. The price started from $6.16 and suddenly fell almost to $5.1 on 8th August. The all-time low of the respective month was recorded at $4.41. from which the price recovered slowly and reached $6.16 by the month end. The price wasn’t very much fluctuating in this particular month and was trading around $5.65. The price fell on October 8th, from $5.87 to $5.20. This 5th largest cryptocurrency is currently trading around $5.14. Understanding various updations regarding the EOS blockchain. Why is EOS so popular these days? 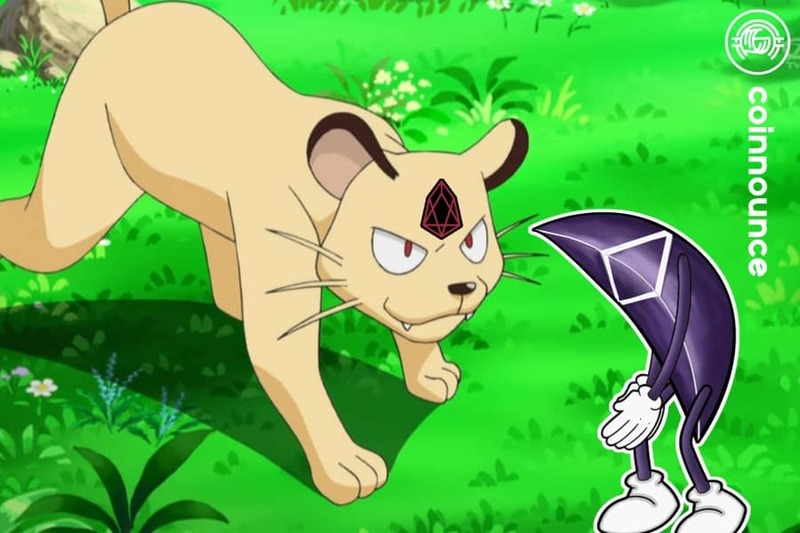 The EOS blockchain platform is the only one of its kind, in the cryptocurrency domain, which is giving a head to head competition with the Ethereum Blockchain. The fifth largest cryptocurrency is, in many ways better than its predecessor Ethereum. Achieving decentralization is nothing but giving power to every individual around the world, to develop his or her custom decentralized application, for which the EOS blockchain platform suits correctly. The EOS blockchain platform seamlessly scales for the vast customer base, whereas, congestions were observed, in case of the Ethereum network. Therefore, the EOS blockchain platform has been in the LimeLight for the investors all over the world. Keeping up with the fluctuations and updates in the Crypto domain is highly challenging for the investors. Therefore, the article covers significant achievements and price fluctuations from the past few months. The EOS is the native cryptocurrency of the blockchain platform EOS.IO, which is currently trading around $5.58. However, the EOS coins price had experienced a significant drop since the beginning of September 2018, which was then hovering around $7.71. Moving on from which, the EOS coin drastically broke the support levels at $6.5 and $6. But the EOS coin managed to stay above the $5 level for that particular week. It was self-evident that EOS outperforms the Ethereum platform, from the fact that many Crypto blockchain platforms, chose EOS over the Ethereum network for the development of the Blockchain protocols. The EOS Blockchain protocol left behind Litecoin and Stellar, then eventually became the fifth largest cryptocurrency by market capitalization. Let’s go through detailed price analysis of EOS from the past few months. The EOS price significantly fell from $22.89 to $16.94, during the initial week of May. 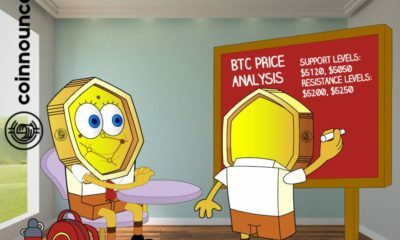 The crypto coin was then consolidated for a week, but then on May 11, the EOS price broke its support level of around $16.86 and fell almost to $14.18. The lowest traded price of EOS for that particular month was on 24th and the price was $10.98. $19.07 was the price of EOS for that particular month, on 3rd. The price of the EOS coin consistently kept falling since then, and on June 2nd the price was recorded to be the highest for that particular month, trading around $15. Also on June 9th, the price broke past its support levels and reached $10 levels from approximately $14.54. The lowest price for this particular month was recorded on 24th June, and the price is $7.35. $9.13 was the highest price of the EOS coin for the respective month and was recorded on 3rd of July. 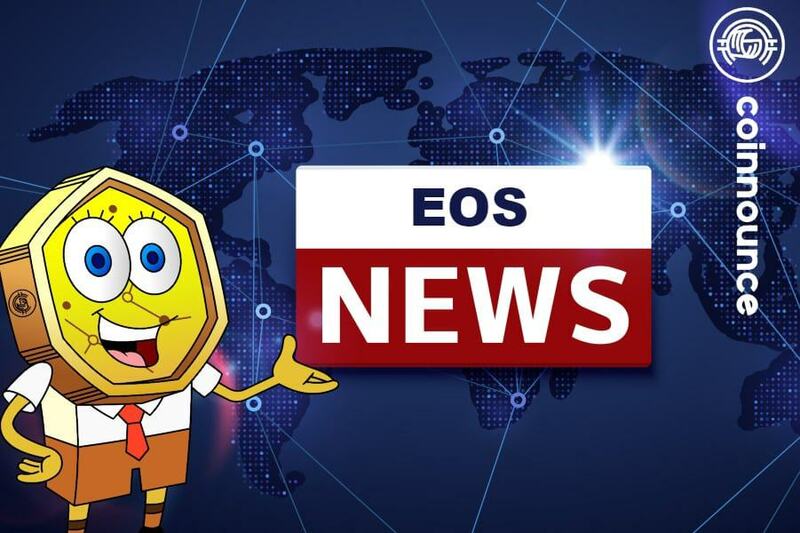 Even this particular month marked a steep descent in the price of EOS, as the lowest level was recorded on July 12, with the price being $6.74. The cryptocurrency coin, even during this month experienced a bearish momentum and fell from almost $7.25, which was also the all-time high of that respective month experienced on 4th of August. In particular, on August 8, the prices steeply fell from $7 to $5.5. The highest price for September 2018 was on 2nd, $6.68 is the price of the coin. However, on September 4th the coin broke its strong support of $6.4. Since then, the cryptocurrency coin has been hovering around the $5 levels with slight fluctuations in its prices, until now. Also, various Global hackathons being conducted by the community platform has been an upper hand, in keeping EOS in the Crypto news for quite a long time. most recently the hackathon was conducted in London on 23rd September 2018, which proved to be a great success for the development of various Blockchain platforms for the developers. Various incentives where being offered at the hackathon where the first prize, which was a cash price of about US$100,000, was awarded to the developers who had utilized the EOS blockchain platform, to prevent Malware attacks. The keynote interaction by some of the key figures of the Blockchain platform like Dan Larimer proved to be a great excitement for all the Crypto enthusiast. The next stop for the series of hackathons was a virtual competition, conducted for the Crypto members, in Africa on 3rd October 2018. This competition would lead the winners directly into the grand finale of the Blockchain hackathon, which is to be conducted on 7th December 2018, at Cape Town.